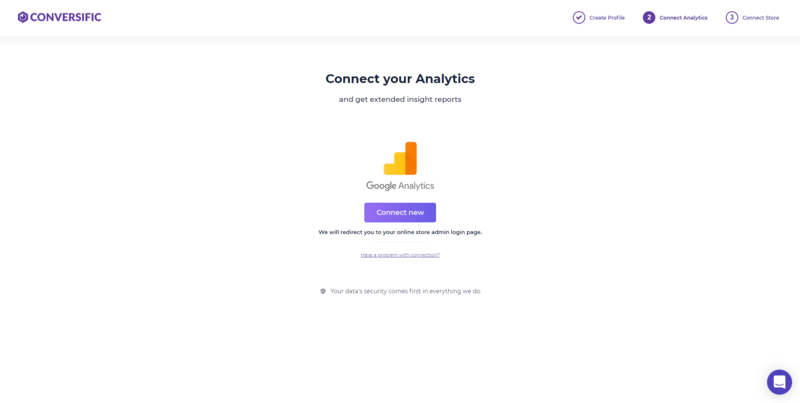 After the registration process you need to connect your Google Analytics account in the second step to utilize the maximum power of your data. and allow access for Conversific. After it, choose your web property and the view of your account. Finish the project settings or go to connecting Search Console. Login to your GA account and find the view of your store. Click on the “ADMIN” section. If your email address doesn’t have all the permissions, find an e-mail address that has all and ask for the owner to give you these permissions.